not your average rest stop…………. There are a few luxuries that I admit I take for granted living here in Spain. Cheap olive oil, cheap (and excellent) wine, and rest stops along the highway where you can actually eat a great meal of traditional and homemade food. When you travel as much as we do the latter becomes extremely important. Like anything else in life I have my favorites, but I also like to discover different spots. I like to get out of my comfort zone sometimes and stop at a place that may not be estetically attractive on the outside and find out what is in store (or bar). 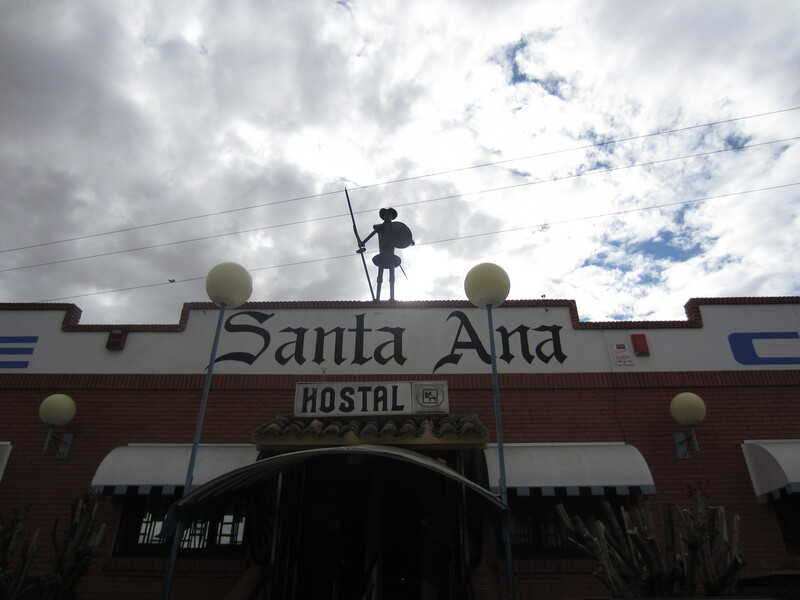 On a recent trip home from Madrid we decided to stop for a quick coffee some place in La Mancha. When we walked in I knew that the coffee would have to wait. 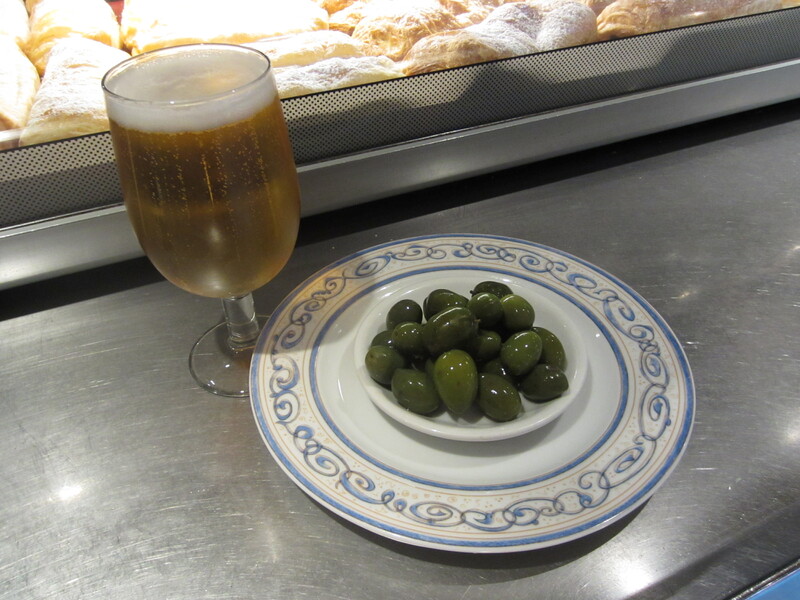 I saw a huge bowl of my favorite olives and knew exactly what I wanted with my caña (little beer). I wasn’t driving by the way. My daughter decided she needed a few meatballs to make it all the way home and she happily sat down to devour the entire serving herself. Meanwhile I walked around and marveled at the offering of random items for sale. These vary from region to region, rest stop to rest stop. Here they had great hiking boots and knives along with a variety of local pastries. 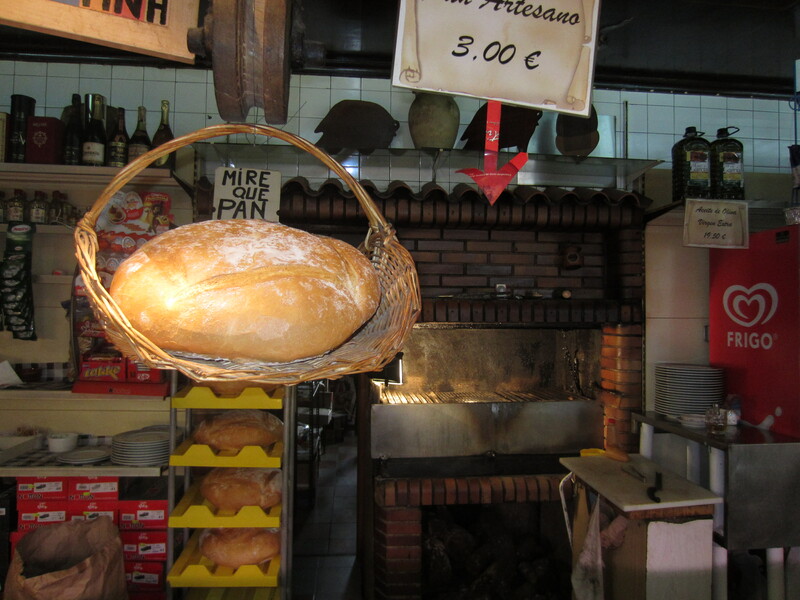 But, what caught my eye the most was the huge loaf of country style bread and wood burning oven with a huge variety of meats and sausages to choose from. I’m not a major carnivore but I can still appreciate good meat and a great way to prepare it. I would definitely stop here again for the olives and with any friend who loves carne! On our recent trip to Spain, we had an excellent meal at a hotel/truck stop as well… an excellent squid “a la plancha” among other things (I won’t call it a rest stop since that refers to a roadside restroom where I’m from). 🙂 We were very impressed that such a humble looking place had such great food. Being able to get a quality meal just about anywhere is definitely one of the best perks of European travel. 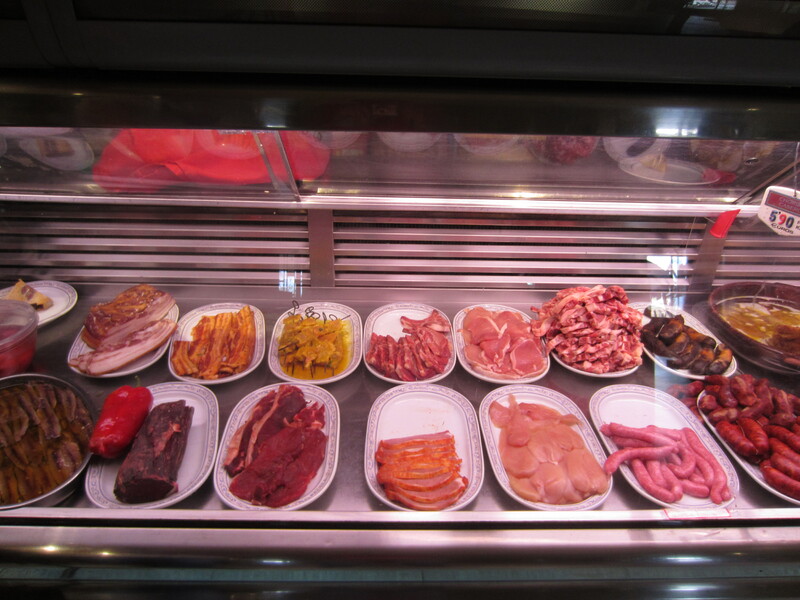 Yes, we have had some great food on the road in Spain. And in Europe in general. I’ve obviously been here too long. I don’t remember the word for a place to eat along the road. Here it is a “service area” but I think the idea gets across……….:)!! That looks like a great food stop, awesome! Oh Yes, reminds me of the trip you and Jorge and Luna took me on. a great stop, like nothing in the US. Look forward to the next one and this looks like a wonderful choice !! !